Enjoy pixel art drawing more easily! Simple pixel art drawing app appeared. 8bit Painter is a fun drawing application that anyone can easily draw pixel art. Since it narrows down to intuitive operation method and minimum necessary functions, you will not get lost in operation. 8bit Painter is a pixel art editor sticking to ease of use. Featured on the top page of the App Store in Japan, UK, Canada, China, Hong Kong, Taiwan, Korea, Macao, Brunei, Cambodia, Indonesia, Laos, Malaysia, Philippines, Singapore, Sri Lanka, Thailand and Vietnam. Selected as an "Editor's Choice" app on Google Play store. It is featured here. Gained a high evaluation of average rating 4.6. 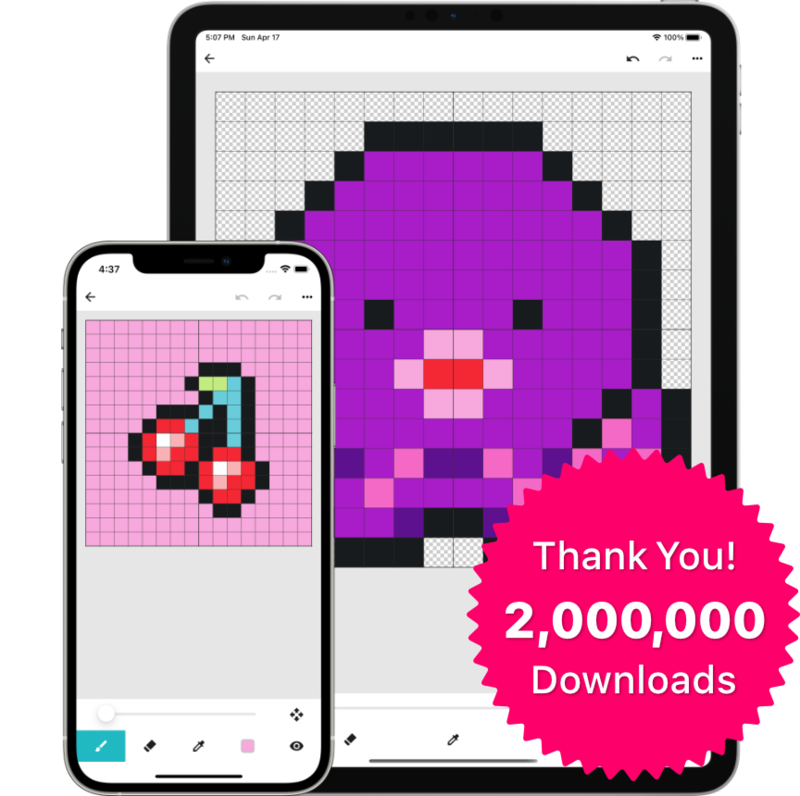 It is popular as "Very easy-to-use pixel art drawing app" from many users. Japanese idol group "ZENRYOKU-OTOME-DAN" used 8bit Painter for iOS on GUNBAR Channel. 8bit Painter is compatible with iPhone, iPad, Andorid smartphone and tablet. Download and play around! Copyright © 2019 OneTap All rights reserved.